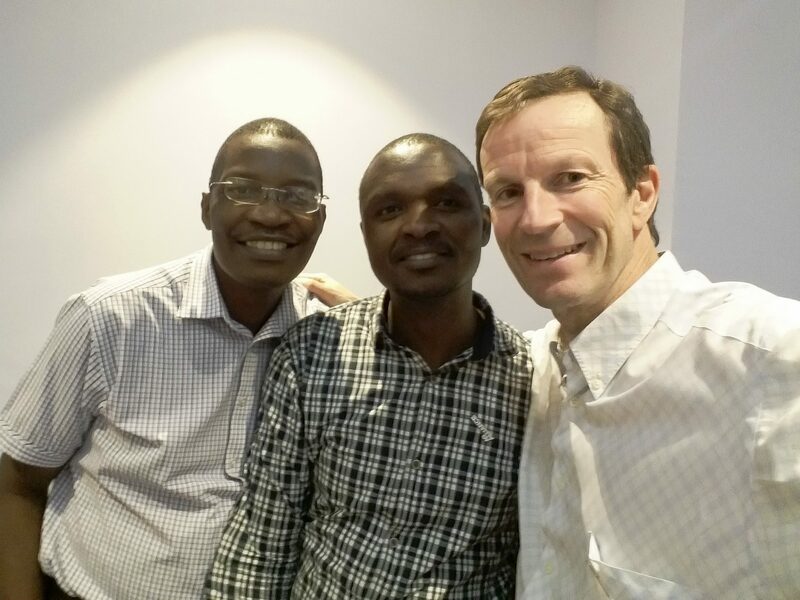 In 2015, AO Alliance, through the English-speaking Africa Steering Committee, set out to develop a new course curriculum aimed at first- and second-year residents in Sub-Saharan Africa. Initial pilots were carried out in Ethiopia and the course was integrated into the Ghana Country Initiative in 2018. 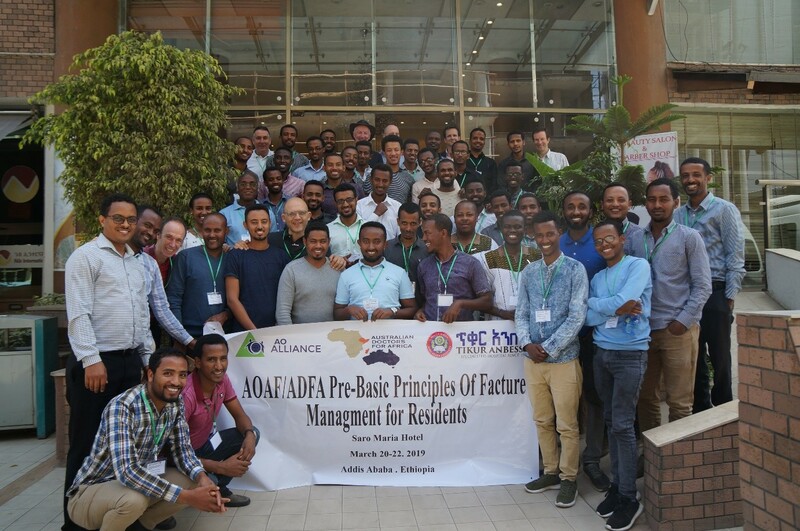 The course – Pre-Basic Principles of Fracture Management for Residents – exposed the residents to the AO Principles of fracture management, safe handling of orthopedic equipment and instruments, the importance of pre-operative planning and ethics in medicine. 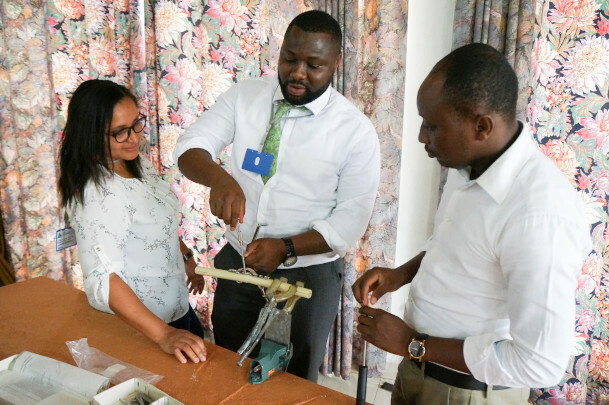 Under the close Chairmanship of Prudence Nutsuklo, National Co-Chair Samuel Ofori and Regional Chair Tongai Chitsamatanga, the course took place in Accra, Ghana. 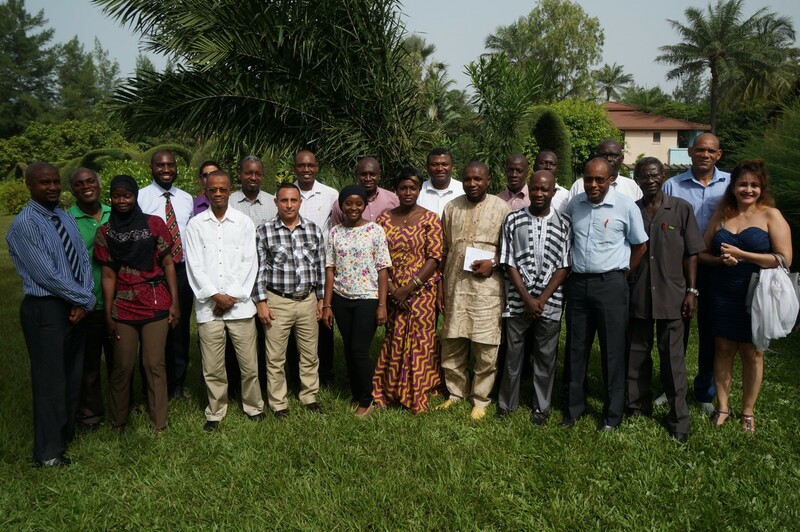 From January 16 to 18, 27 Ghanaian residents participated in the three-day program. Klaus Renner, immediate Past-President of the AO Foundation and AO Alliance Board member, was also on hand to contribute his experience to the educator pool. “I was amazed by the depth and knowledge of the National Educators and the enthusiasm of all the participants”, said Renner. 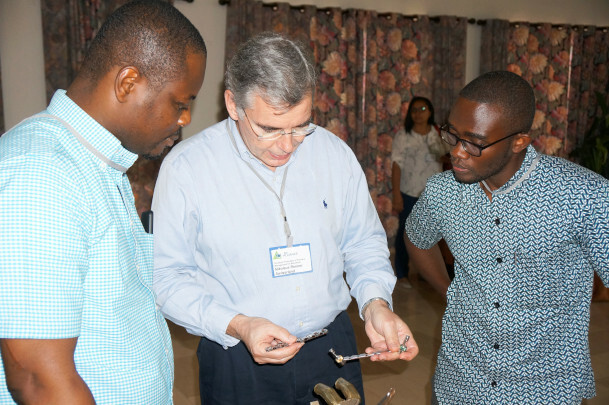 Residents and educators came from all over Ghana – Kumasi, Tamale, Cape Coast and Accra. The preoperative planning exercise and workshop, a complex task for junior residents, was the highlight of the course. Participants set out to plan their surgery on tracing paper and then execute their plan on synthetic bones. The educator jury awarded prizes for the best operative plan and the best execution. Participants particularly appreciated the small group discussions where cases were presented and discussed for best practice management. They felt more time should be allocated to this in 2020. 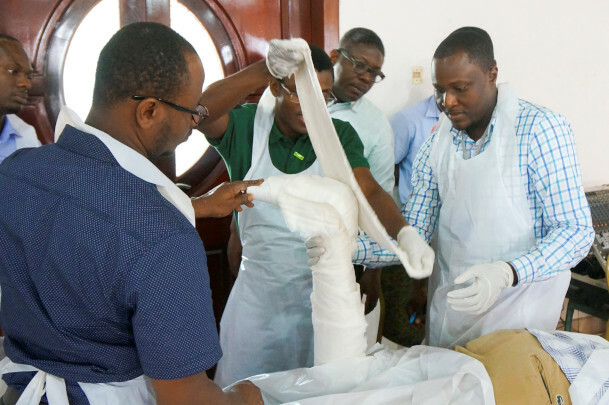 AO Alliance wishes to thank the local coordinating team: Wilfred Addo, Reuben Addo and Bernard Akueteh in Accra, Ghana for all their efforts to make this educational event a success, and looks forward to next year for an even better delivery of this important course for junior residents.